Archery is a sport not many people know a lot about, especially shooting at a target from 70 meters away. 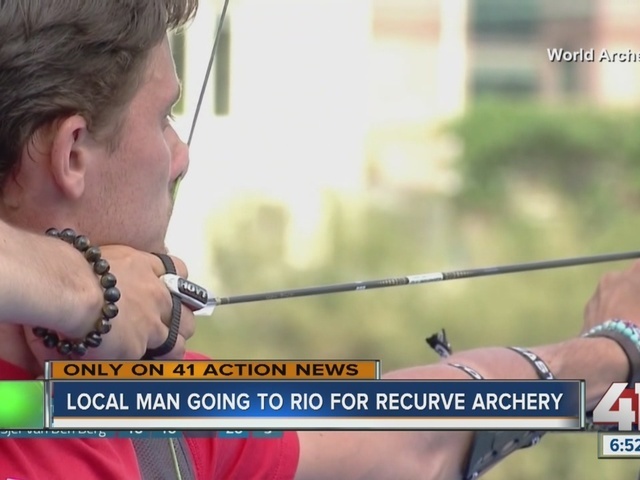 A young man from the Kansas City area is hoping to put archery on the map in August. All the years of training have led up to this point. “It’s just crazy, like it’s just been go, go, go since April,” Zach Garrett told 41 Action News through Skype. At 21 years old, Zach is the fifth best recurve archer in the world. The sport has taken him places he’d never thought he’d go. “I’ve been to China, all over the country, the United States and Turkey,” he said. Now, he has his eye set on only one target. “My dream was to always get there and win the medal,” Zach said. Now, after countless competitions, the Missouri native is going to the Olympics in Rio de Janeiro. He says it still feels a little surreal. “It’s definitely a dream come true to make the team,” Zach said. “I don’t feel like it’ll really be accomplished until there’s either a team medal or an individual medal involved. He didn’t work so hard for nothing, after all. His dream started on the family farm in Wellington, a small town about an hour east of Kansas City. Zach’s mom, Robin, says Wellington is a town where an unknown car is a big deal. Now people constantly stop and congratulate her. Zach’s little sister, Audrey, is his biggest fan. She was sporting an Olympics tank top when 41 Action News visited their home. “It was really cool seeing everything, you know, as it happened,” she said. 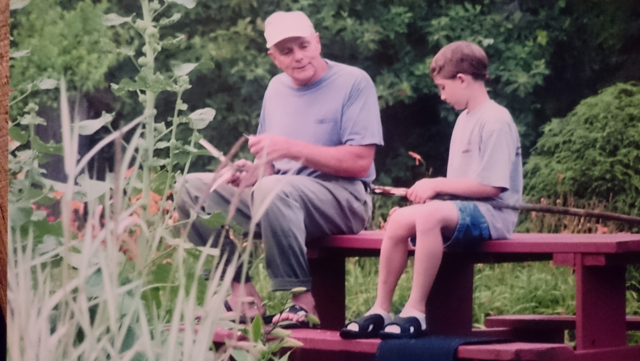 Zach's mother said he was obsessed from the moment he picked up a bow at the age of four. It’s all thanks to his grandfather. “He’d just go plinking around in the yard, seeing how far he could shoot,” Robin Garrett remembers. Over the years Zach got involved in 4H archery and really got serious going into his teenage years. He would spend hours practicing in their pasture. That old wooden bow, now covered in duct tape from so much use, got him to where he is today. “The fact that he wanted a bow more than we wanted a car to me, really spoke volumes about how dedicated he really was,” Robin said. The year 2010 changed up the whole game for Zach. Coincidence introduced him to USA Archery coach Steve Cornell, and eventually US Olympic Archery coach Kisik Lee. That’s when his Olympic dream kicked off. Zach says the game is all mental. A win or a loss can come down to millimeters or the slightest movement. “I’ve won a match recently because my arrow was three millimeters closer than the other person’s,” he said. “It’s a difficult game to learn, to really have self-control and self-awareness." Audrey says kids at her school have taken up archery, to be like her big brother. “It’s really cool that so many people stood behind him, because if you’re not shooting a deer, archery isn’t a big thing out here,” Robin said. Zach says from now until he leaves for Rio July 27, it’s all about staying focused. He practices at the US Olympic Training Center in Chula Vista, California, where he’s lived for several years. The team to beat is South Korea, but Garrett says he knows Team USA can deliver. The team comprises of two other: Brady Ellison, and Jake Kaminsky. “I’m proud to represent my hometown and the Kansas City area, and very proud to represent the United States,” he said. As they’ve always done, his family will be there to root him on. To see the full schedule of archery events, click here. You can watch all the Olympic games only on 41 Action News.